You'd think with Easter having just left us and what with me having two kiddies and the ridiculous amount of chocolate stacked up in my home right now because of this that I'd be sick of the sight of the stuff by now. But actually, I do wish this was the case if I'm honest - I'm really trying to bring back my Fitness Friday motivation and am dangling very precariously on the edge of the Slimming World wagon as it is, but nope, it would seem that whenever I spy any form of chocolatey treats, no matter how much of the stuff I already have around me, I still want in. I mean who on earth could resist that little combination. And Elizabeth Shaw - a brand of chocolate that has me immediately thinking of sophistication and sitting, enjoying them with coffee as an after dinner treat in a fancy restaurant - really take a pride in the products that they make. The chocolate used is of a very specific blend, the ingredients picked for flavour are patiently sourced and searched for and then the brand itself believes very strongly in fair trade and ethical chocolate production, making sure everyone involved - from beginning to end - of their chocolate making process is cared for fairly. Sounds good to me - and the chocolate tastes just as good too. 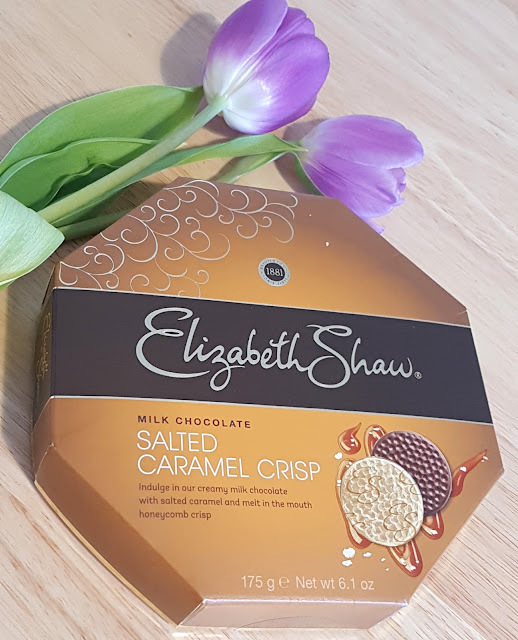 These Salted Caramel Crisp's were a hit in my home - my chocolate-loving son swiped a handful of the individually wrapped chocolates the second he saw them and hot-footed it up to his bedroom, only to return not long after to snaffle a few more, which speaks volumes really doesn't it. And I can't blame him, they really were delicious - the caramel was deliciously buttery and rich whilst the complementing sea salt and crisp honeycomb additions made for an amazingly moreish combination. 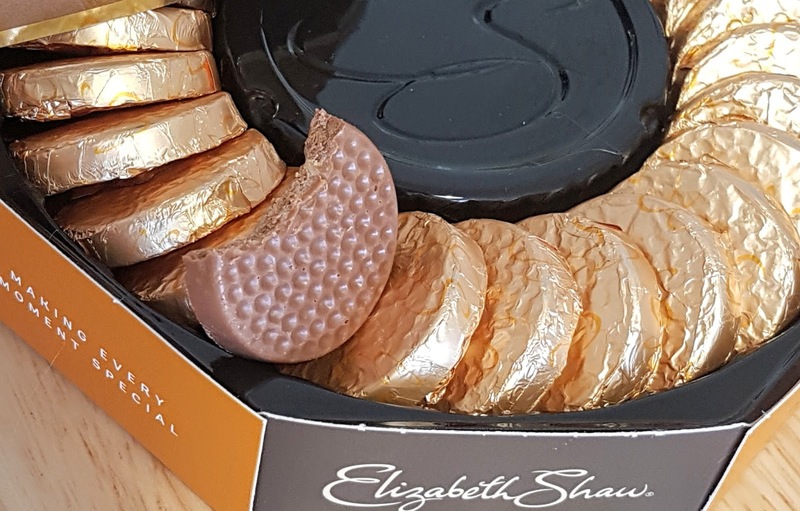 Oh - and the chocolate was really rather amazing too. I certainly wouldn't pass down the chance to sample any (all!) 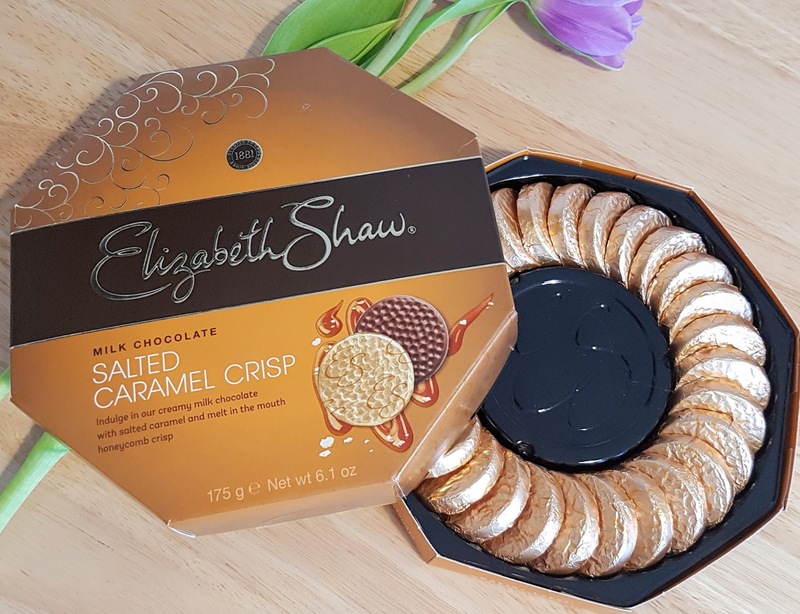 of the other fabulous sounding flavours Elizabeth Shaw have to offer that's for sure.